Most people have relationships problems at some point in time. Whether it is your relationship with your family, your coworkers, or even your spouse or lover, it's important to understand relationships problems and how to solve them. Making the right choices in your relationships and learning to work on problems together can help you to keep your relationship going strong and can enable you to avoid being another relationship gone bad. Here are some specific steps to help you solve problems within a romantic relationship. The first thing you must do when it comes to recognizing and solving relationships problems is to work on understanding the values of the other person. Problems start happening when your values and their values are in conflict. Talk with your partner about the values that you have and find out more about the values that they have as well. When you know what they value and what is important to them, you can avoid problems, and if problems do occur, you can work on solving them. Another important step for solving common relationship problems is to listen to your partner. If you're not listening, this is a recipe for disaster. You can't fully understand the problem or your partner if you don't take time to listen. One of the best ways that you can prevent problems in your relationship is by listening attentively to your partner. 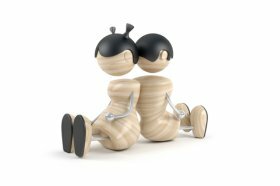 When misunderstandings occur, listening to each other can help you to work through the problems that you're having. Always be kind to your partner. When you are going through relationship problems, it is very easy to lash out against your partner. Just being kind can help to diffuse the tension and help you both get through the problems. Use your voice, your actions, and your body language to show kindness and a willingness to work to make it through the problems you're dealing with. Even if you're dealing with relationship problems, avoid having big arguments. 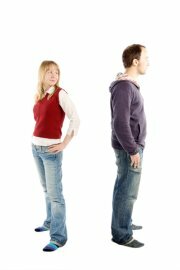 Arguments only end up tearing down your relationship and they foster resentment as well. When you argue, no one really ends up winning. Instead of arguing about the problems; work on stepping back and trying to get a good look at both sides. Then work together to find a way that you can compromise and solve the problems you're having. Make sure that you share feelings with each other. Now is not the time to start bottling up your feelings and keeping them inside. This will only end up causing a blow-up later. As you go through relationships problems; share your feelings with your partner in a non-threatening way so that they can better understand what you are feeling. Make sure you also take time to listen to their feelings as well. With these steps, you can solve the relationship problems and in some cases keep the problems from happening in the first place. Don't allow problems to ruin a great relationship, but use these steps to work through them and come out stronger on the other side. Return from Relationships Problems back to the Relationship Problem Advice page.